Back in the day — and I mean way, way back (we're talking 2011! ), I was obsessed with a movement called Lean Thinking (which I of course wrote about here). Started by Eric Ries, author of The Lean Startup, it pushed both businesses and entrepreneurs to be more experimental when developing and launching new products – building a Minimum Viable Product, valuing early feedback, and moving forward with validated learning. But what about marketing? And more specifically, branding? I mulled over that question, again and again, after I first read about Lean Thinking. Could this method also be applied to building brands, and launching marketing campaigns? Is there anything we marketers can learn from this? Branding is different. It's something that, unlike a website or an app, REQUIRES time, sometimes a lot of it, to have value. And marketing? The best campaigns, of course, are the ones that span decades, not quarters. What's so "lean" about that? But maybe I'm wrong. @JeremiahGardner and @BrantCooper seem to think I'm wrong, at least! To Jeremiah and Brant, a brand isn't a four-paragraph positioning statement, it isn't a mission, nor is it a logo or a set of colours. It's a relationship. Yep! A brand is a relationship between the company and its customers. And it's developed, sometimes slowly, sometimes quickly, through actions, not words. Example: Tell me, why did Chip Wilson's comment about the ideal size of a Lululemon customer's derriere hurt the brand? It wasn't like its mission statement changed, or its values. It was because the relationship changed. Chip's comment went against that established relationship, and values, and tarnished the brand's relationship with its customers — perhaps forever. Conventional branding, of course, isn't a relationship. It's one-way. You have your logo, colour, values, etc., developed using a painstaking process of design and research, and are now ready to unleash that brand into the world — and hopefully, new customers. 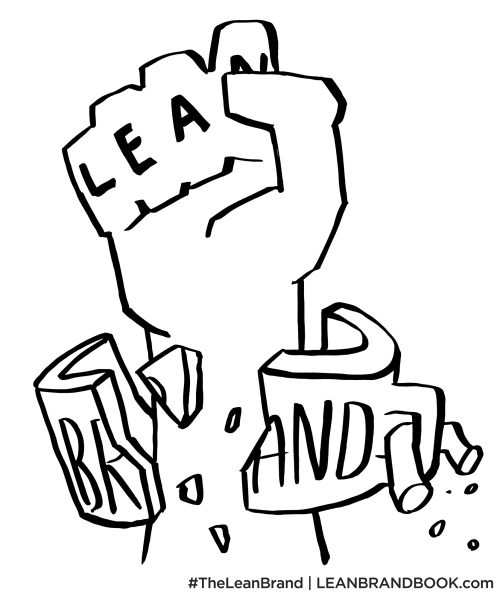 But with Lean Branding, and the idea of a brand as a relationship, it's almost the opposite. Your audience plays a key role in building the relationship and the brand — through their actions, their ideas, their advocacy and their passion. All you need to do is fuel that relationship, again, with actions. Branding is a two-way, cooperative process. 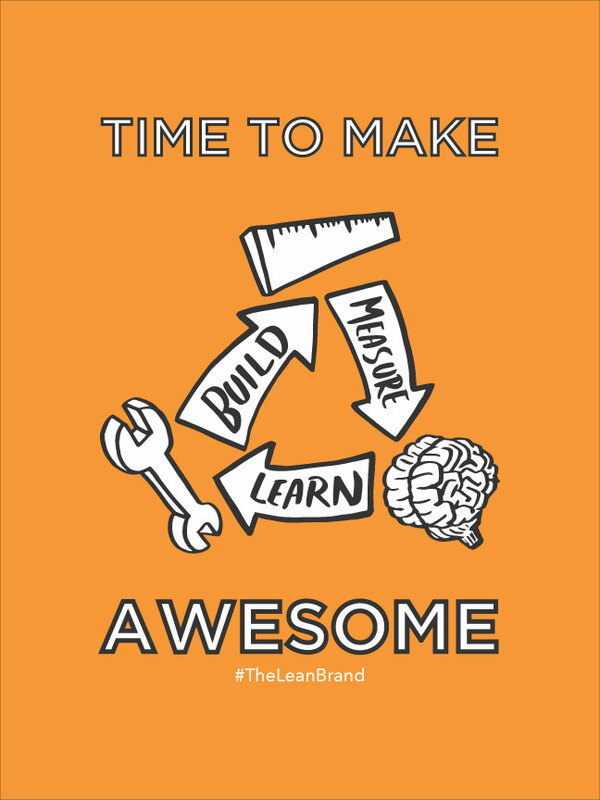 Another idea Jeremiah and Brant have borrowed from Lean Thinking is the emphasis on "validated learning" — that is, quantitative feedback gathered from actual customer behaviour. Because a brand is a relationship, and that relationship is primarily built through actions, not words, then there must be a way of measuring those actions with an eye towards whether that relationship is moving in the right direction... or not. Those interactions, and that learning, doesn't begin with the product or campaign launch, either: it begins with the very first interaction with your audience. All of those interactions are part of the branding process, building that relationship, one action at a time, from Day 1. In the same sense, you also have validated learning from Day 1, too. Companies can test and experiment with different aspects and angles to their brand (psst... the relationship! ), trying out new actions with a select segment of their audience, then deciding whether that action gave them the desired result. Are people responding to it? If not, try something else. If so, prove it. Show me the numbers. Show me the behaviour! Validated learning is hypothesis-driven brand development. But where to start? Surely you can't just build a relationship from scratch? Even first dates start with flowers, right? Well, Jeremiah and Brant have borrowed yet another idea from Lean Thinking (surprise! ), this time calling it the Minimum Viable Brand. This "MVB" is what you would use as your starting point – the base of the relationship you want to build. -What's your point-of-view on the world? -What are you fighting against? -What are you fighting for? -What's your passion? Why are you in business? -What's the first "signpost" that projects your story? -...and it can always change. -What are you asking people to do? -What behaviour do you want from them? -Why should they do it? So (and I smirk as I type this! ), the authors DO in fact believe that some aspects of traditional branding are useful. Having a vision, a name or logo, and a call-to-action for your audience IS important from the get go. The main difference is, it doesn't have to be polished. It doesn't have to be the result of 6 months of R&D, and it doesn't have to be set in stone for all time. An MVB is a starting point, and it can always change. Hm! Hm, hm, hm! Interesting stuff, no doubt. 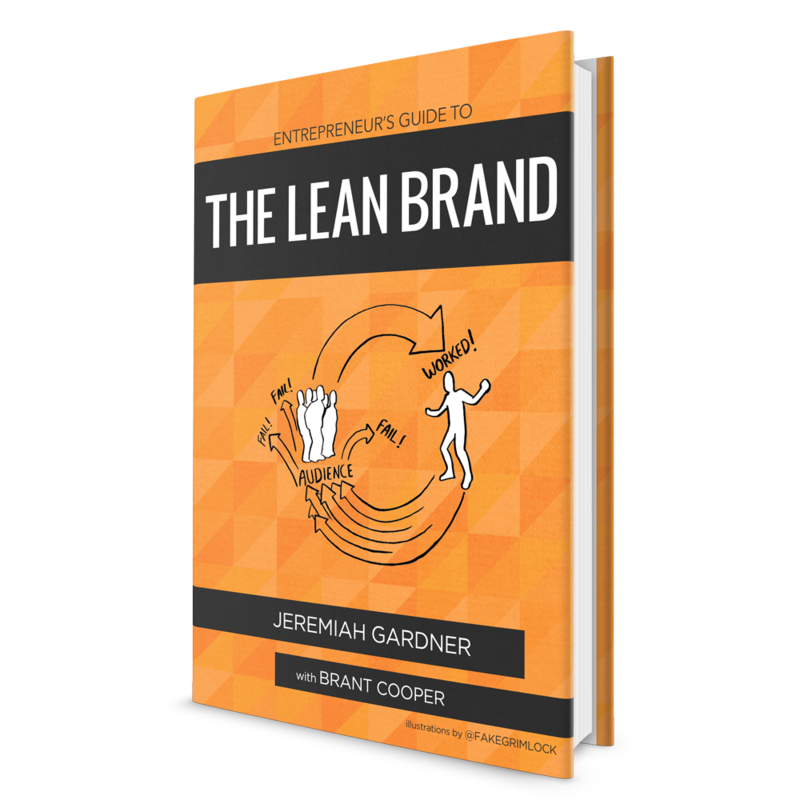 Admittedly, Jeremiah and Brant have done a great job of adapting the best parts of the Lean Thinking movement and applying it to the branding process. This is what I would have done... had I done it. But do I buy it? I like the idea of a brand as a relationship. It puts you in the mindset of actions, not words, and the actual experiences that your customers are having with your product and your company. However, I DO believe that words are important, too. Even in the most high-interest categories, consumers simply won't have the time to engage and build a relationship with all the brands in their lives. Hell, they barely have time for themselves! Which means traditional (one-way) branding, and communications, will always be essential. I also like the idea of validated learning, which pushes for flexibility and the willingness (and motivation!) to change with real feedback. Do people truly like what we're doing? How can we prove it? However... I also believe that qualitative feedback is important, too. As I said above, consumers may simply lack the TIME to provide validated feedback through an action — say, a tweet, a purchase, or becoming a brand ambassador. Just because someone doesn't want to tweet, it doesn't mean they don't like your brand! The MVB I buy the most. I've seen some complicated, redundant branding documents over the years. Some try to cram 50 boxes onto one page, others spread those same boxes over 50 pages. All that isn't necessary. No one reads them — not even the branding team. But an MVB, and its three simple elements, just works. It's the essence of what a brand is. What is its vision? How does it look, feel, and act? What does it ask of people? I buy!